‘Tis the season for sales & special offers. But, if one so chooses, it can also be a time of reflection and contemplation on what really matters in our lives. Perhaps when we slow down now and then, just long enough to remember what the real gifts in our lives are, we also give ourselves the opportunity – and courage – to decide how we wish to proceed during what is often an extremely busy, stressful, overwhelming, demanding and expensive time of year. Mind you, questioning how one is proceeding with the Christmas season could very well lead one to having to say NO to the demands placed upon one by other people. But that, I have learned over and over again, is not necessarily a bad thing. Now that may or may not be a true statement…but ouch. What a Grouchy Grinch! The girls looked at me with big eyes and nodded…perhaps recalling how their own beyond-exhausted parents stay up till 3am on Christmas Eve to make sure all the “magic” is ready to roll for 6am. I wish I could say I quickly recanted and apologized for my Scrooge-like outburst. But I didn’t. Because quite frankly, I think the sooner we acknowledge that the tremendous stress we put on ourselves to make sure Christmas at least somewhat matches the Norman Rockwell fantasy, the sooner we will admit that our best intentions are doing far more harm than good for all concerned: the next generation and the planet. I do think Christmas can be a very special and sacred time of year – regardless of our religious beliefs. But I suspect those teen girls are far closer than some of us seasoned adults to capturing the true spirit of the season…tapping into that special magic that money and consumerism can’t always buy. And yet, as an author and small business owner, I – like millions of others – do have products to sell to consumers! As such, it has always been important to me, as a writer and entrepreneur, that if I am going to use up valuable resources to produce goods for sale, then those finished products damn well better have significant value to the consumer and a fairly light environmental footprint. In fact, many of our products have been designed so that there can be multiple consumers – for the same product. 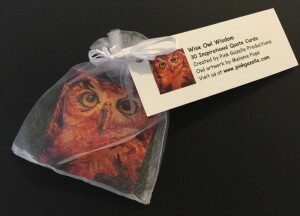 Case in point are the 2 items we are showcasing in the Give the Gift of Inspiration This Christmas Special Offer of A Widow’s Awakening book and Wise Owl Wisdom Inspirational Quote Cards: $19.95 for both (free shipping). 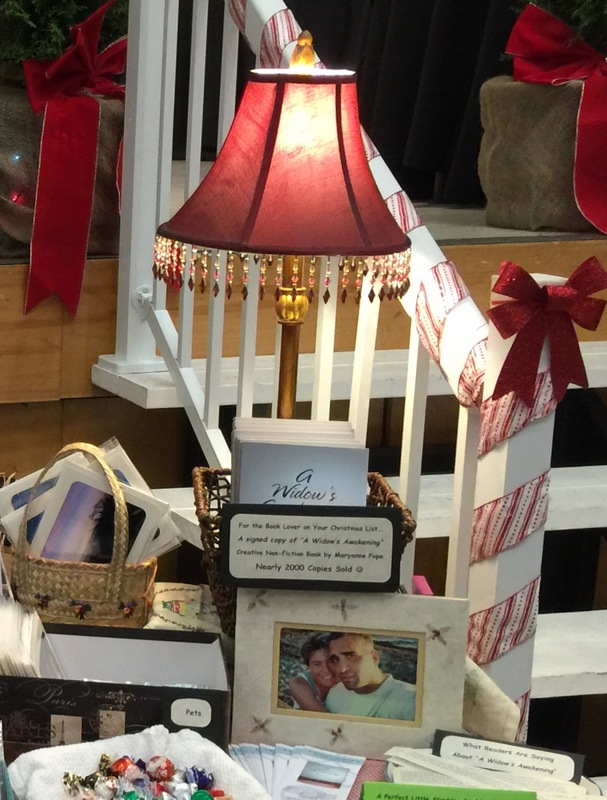 With nearly 2000 books sold, A Widow’s Awakening is touching the heart and soul of readers. This extraordinary story is a candid portrayal of Maryanne’s journey through the first year of grief after the on-duty death of her police officer husband. Engaging, powerful and heart-wrenching, this book captures the immense difficulty of accepting the unacceptable while learning to transform loss into positive change. 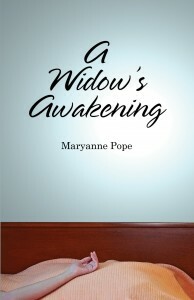 For more reader feedback and/or for further information on A Widow’s Awakening, please click here. There are 30 cards in each set. Each card is 3 inches x 4 inches. The owl is on the front of each card and then on the back of each is a different quote. For further details on the Wise Owl Wisdom Quote Cards, please click here. 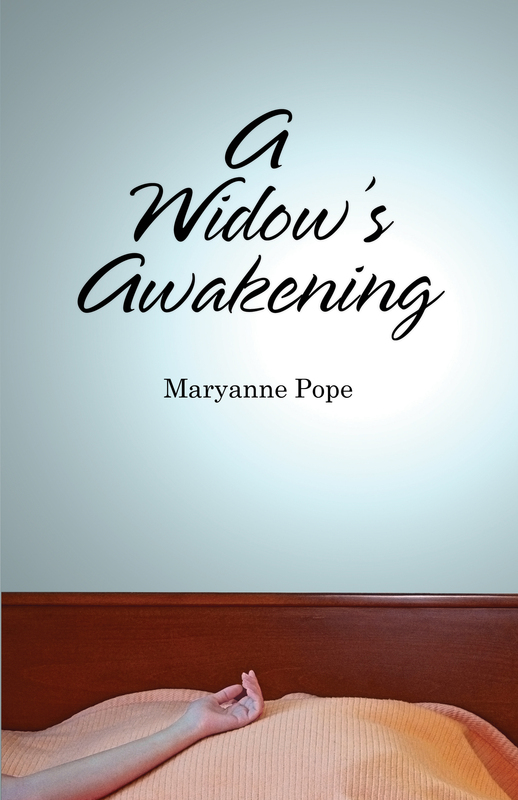 If you would like to purchase a signed print copy of A Widow’s Awakening, please visit our on-line store to place your order. You will automatically receive your free set of Wise Owl Inspirational Quote Cards. Please note this offer ends on Sun Dec 4th, 2016.